U.S. Rep. Jared Polis, the newly elected governor of Colorado. Colorado’s blue wave on Tuesday not only put Democrats in power at levels not seen since the 1930s, but it also positioned the state at the forefront of the political and policymaking resistance to the administration of President Donald Trump. 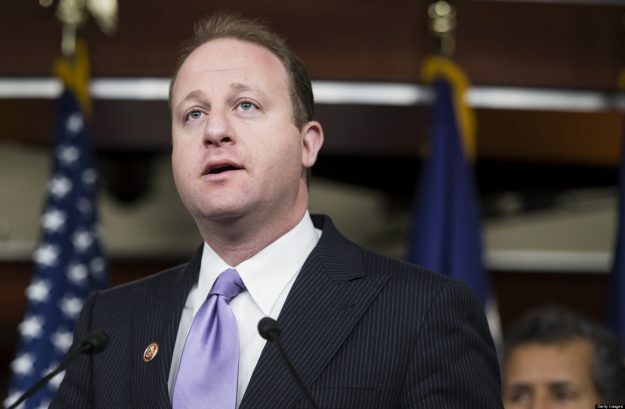 Coloradans elected a Jewish, openly gay governor, Democratic U.S. Rep. Jared Polis of Boulder, who in December of last year was one of only 58 House members who voted to move ahead with impeachment proceedings against Trump – in part because of the ongoing investigation into Russian interference in the 2016 presidential election. “There are serious accusations against President Trump of obstruction of justice and collusion with a foreign government, and I find these accusations credible,” Polis said in a press release soon after a guilty plea by former Trump national security advisor Michael Flynn. Democrats largely avoided the impeachment issue during the midterm election, but on Wednesday Trump forced the resignation of Attorney General Jeff Sessions, who has allowed the Trump-Russia investigation by special counsel Robert Mueller to move forward under the supervision of deputy AG Rod Rosenstein. Sessions had recused himself from the Russia probe because of his own involvement in Trump’s presidential campaign and his own connections to Russian officials, angering Trump. The president’s move to oust Sessions has sparked local and national protests — including a #ProtectMueller rally in Denver, reportedly attended by Sen. Michael Bennet, congressmen-elect Jason Crow and Joe Neguse and Colorado Attorney General-elect Phil Weiser. There is growing concern, even among Republicans, that Trump is poised to shut down the Mueller probe. Since Polis took his vote last December there have been many more guilty pleas and indictments handed down by Mueller’s team of investigators, including three more top Trump advisors such a former campaign director Paul Manafort. In all, the investigation has thus far obtained indictments or guilty pleas from 32 people and three companies. Polis also ran on a platform of 100 percent renewable energy by the year 2040 – a policy that flies directly in the face of Trump’s move to bolster fossil fuels such as coal, oil and gas and his consistent denial of overwhelming scientific evidence of manmade climate change. Colorado on Tuesday also elected Democratic AG Weiser, the former dean of the University of Colorado Law School who ran on a platform of providing a legal check to the Trump administration. In an interview with RealVail.com last summer, soon after Trump’s heavily criticized and seemingly pandering meeting with Russian President Vladimir Putin in Finland, Weiser said there is a role for a state AG in calling out the White House. Weiser added that the state AG can also enforce laws the federal government refuses to, such as the Affordable Care Act, as well guard against more election meddling by Russians at the state level.